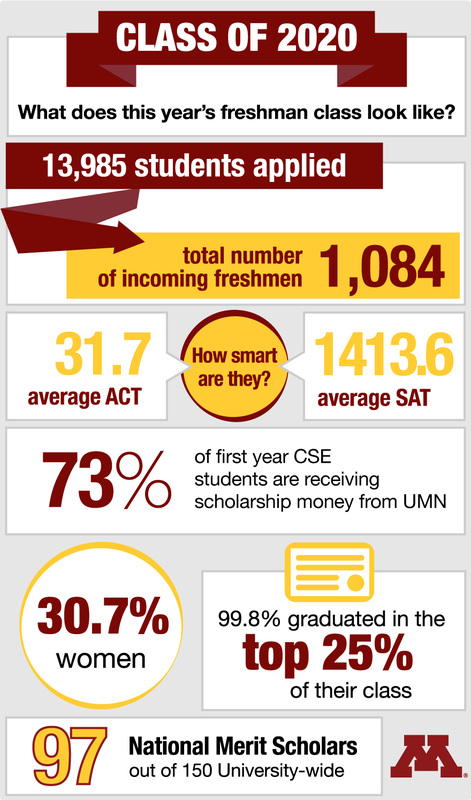 The University of Minnesota College of Science and Engineering fall 2016 incoming class is biggest and most academically prepared class in the college's history. And with nearly 14,000 applications, the competition to get in was tough! Read more about the largest-ever CSE freshmen class.